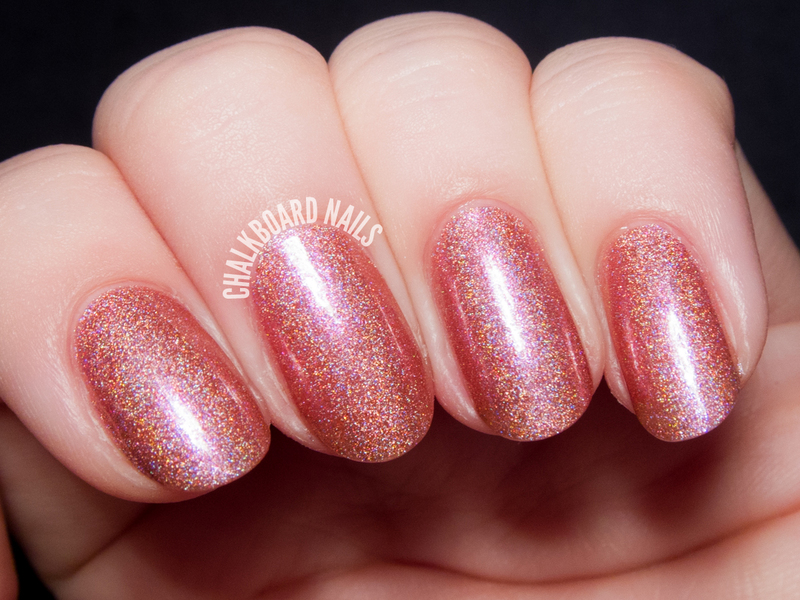 A Class Act is a pinky holo. Unfortunately, my camera struggles with pinks, so it looks a bit redder here rather than pink. I really liked wearing this shade. It's flattering on the hands and work appropriate without being boring. Two coats with a nice formula. 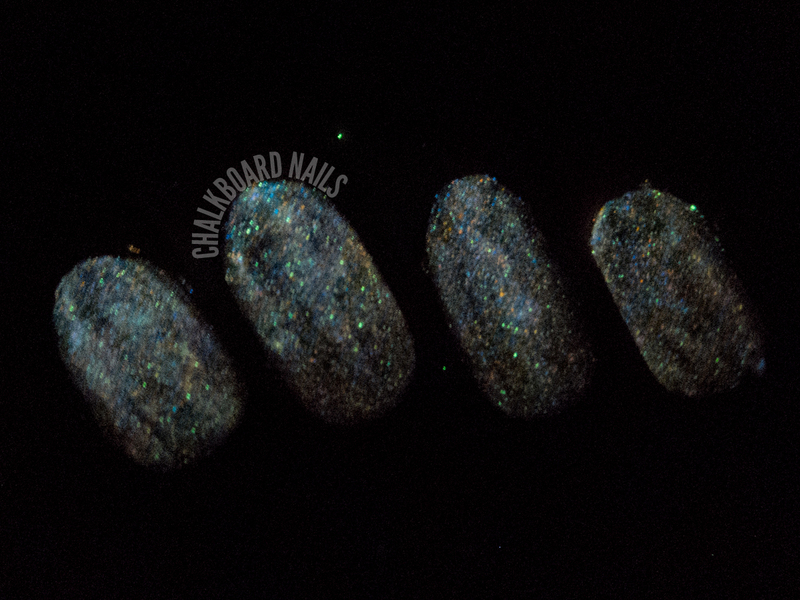 Beam Me Up is a golden/tan glow in the dark shade with microshimmer. I needed three coats for the opacity shown here, plus two coats of topcoat to try to smooth out the roughness of the glow pigments. I don't think this shade is super flattering on me either, unfortunately. 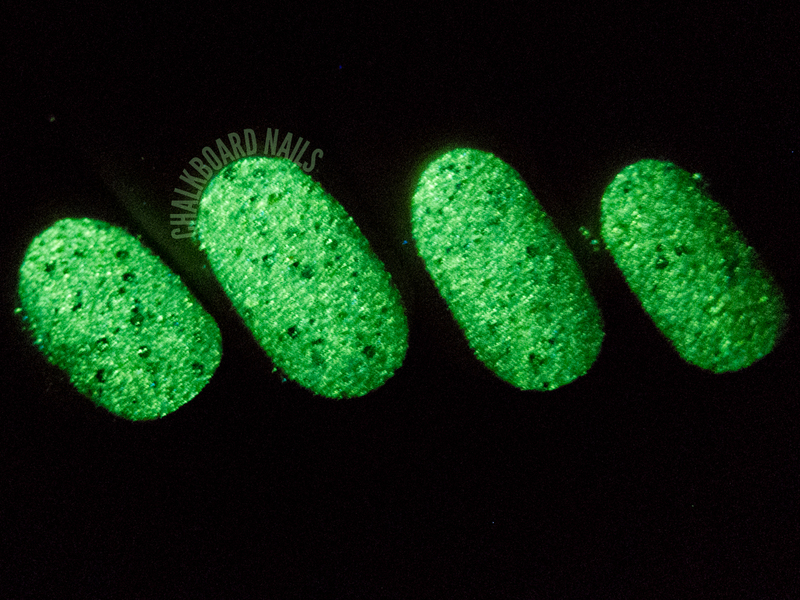 Dark Matter has a olive-brown base with heavy orange/pink shimmer and it glows green in the dark. 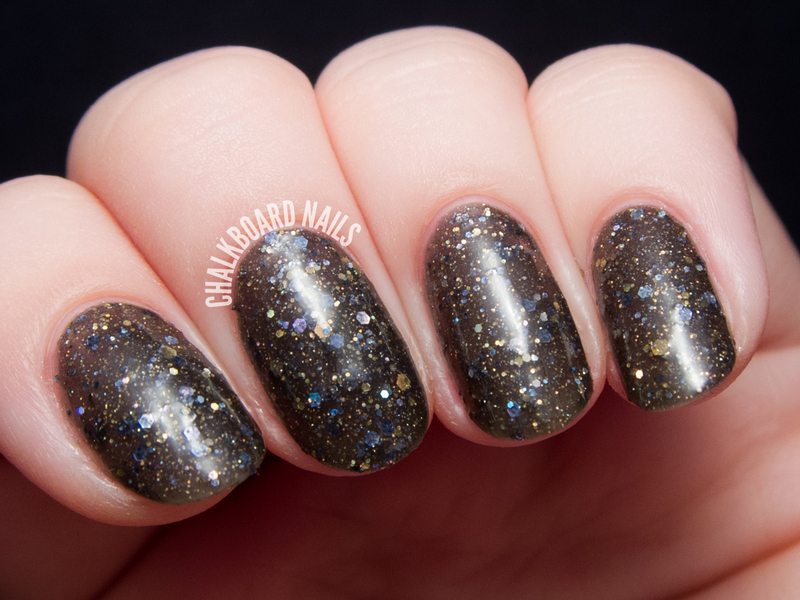 Like Beam Me Up, I needed three coats and two coats of topcoat to achieve the look below. 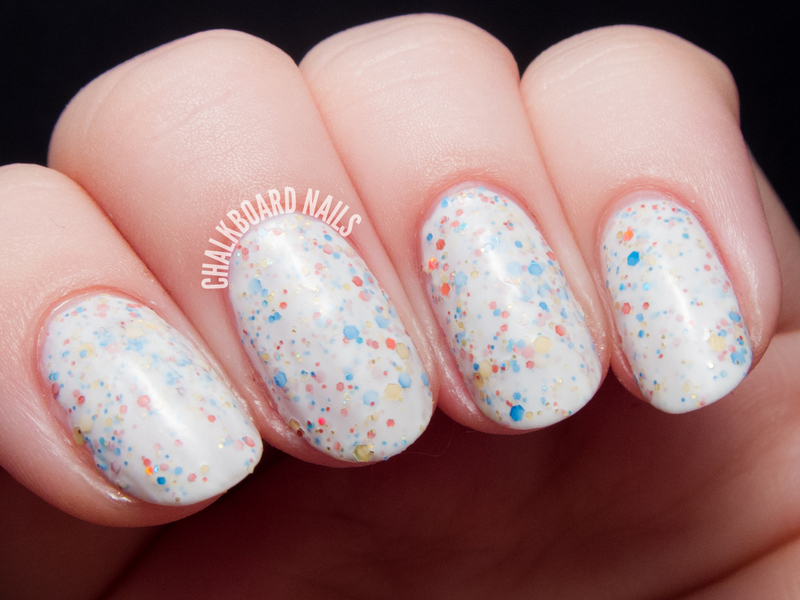 First Colors is a white semi-opaque base with blue, red, and yellow glitters. I used three coats of First Colors in my swatch, though next time I would probably layer one coat over white instead. I love that all of the glitters in this polish are on the smaller side, as I don't really find myself drawn to large glitters these days. 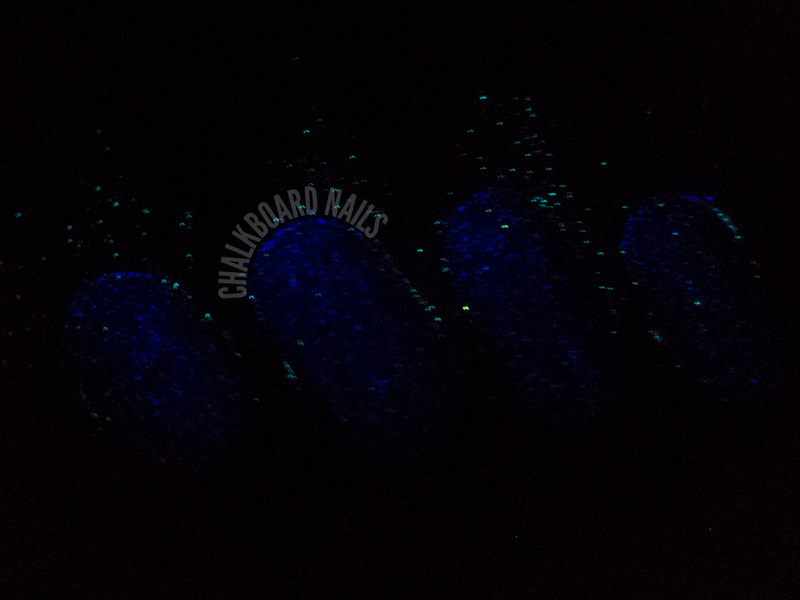 Fractured Rainbows is a glow in the dark opalescent flakie topper. I layered one coat over CND Vinylux Indigo Frock for the swatch below. I had trouble deciding how to layer this one: do I go with a dark color to help the flakies show up better, or do I go with a light color to boost the glow in the dark effect? As you can see, I went with the dark base, which makes the flakies pop but does affect the glowiness. Galactic Rainbow is a glow in the dark shade with a reddish brown base and blue/teal shimmer. 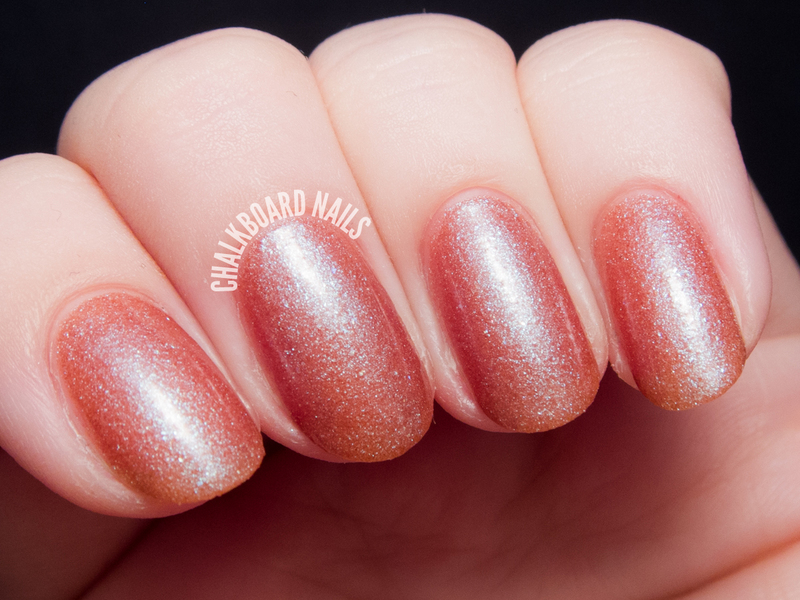 I used three coats for the swatch below, and you may need two coats of topcoat as well. It flattered my skin tone nicely, I think. 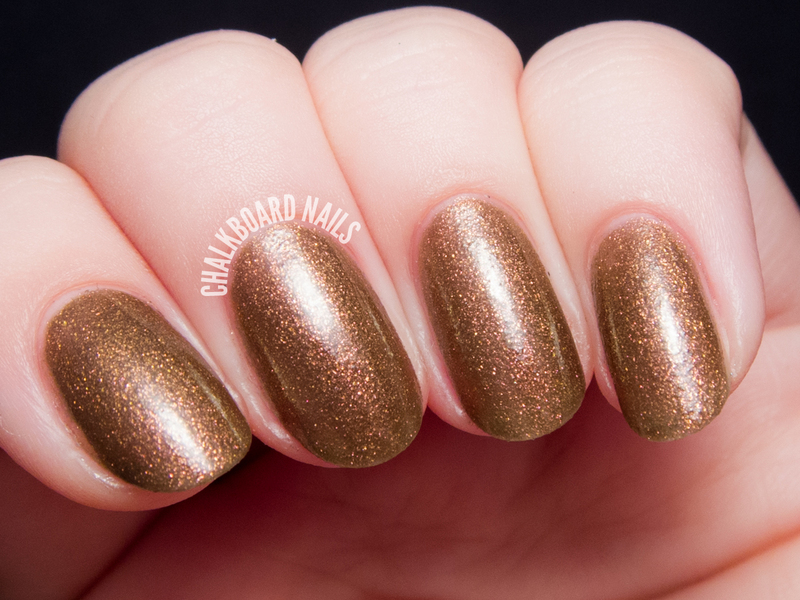 Leaves You Breathless is a clear-base glitter topper in shades of autumn leaves. I layered one coat over CND Vinylux Rose Brocade. The glitter was plentiful and went on easily. 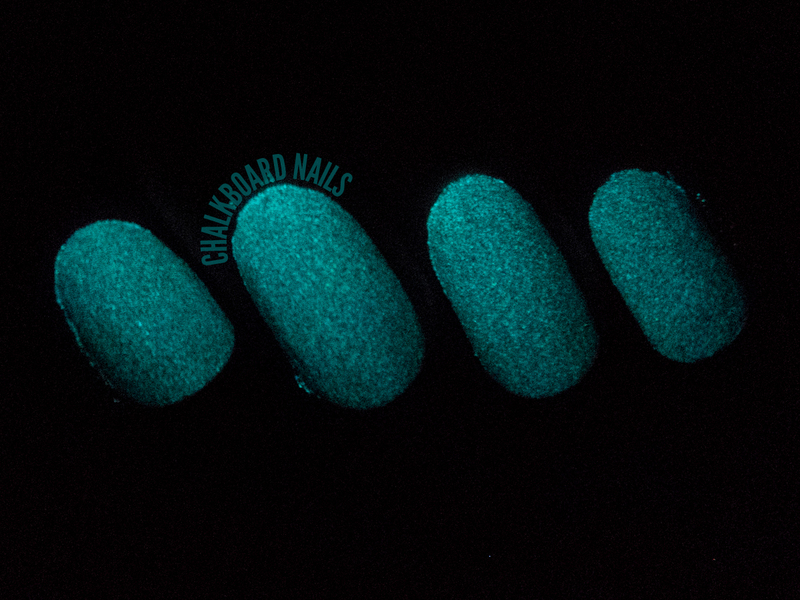 Light Speed is a glow in the dark shade with a grey jelly base and teal blue shimmer. I absolutely love the way this one looks and it seemed to be a bit less gritty than some of the other glows. Three coats shown. 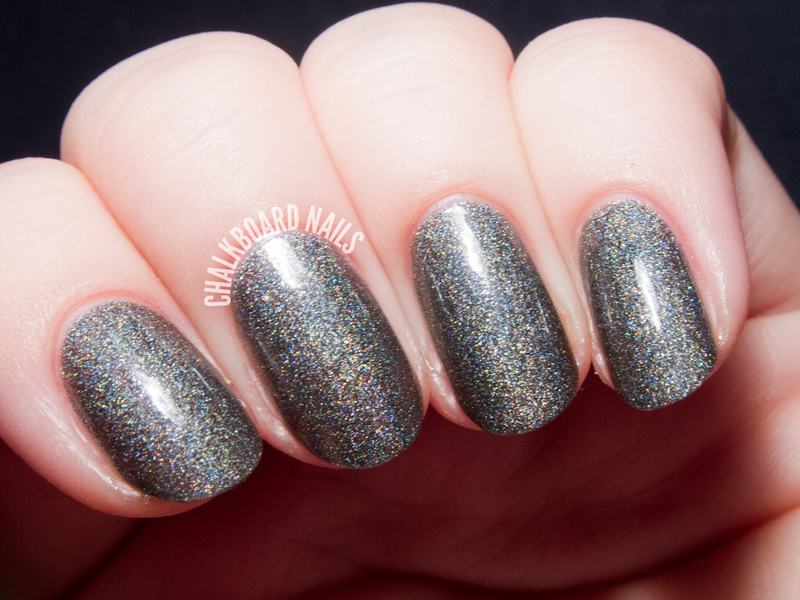 Sleepy Holo is a charcoal grey shade with a scattered holographic finish. I like coarse holographics like this one, and it covered well in two coats. Tassel's Worth the Hassle is a glow in the dark shade with a dark grey-brown jelly base and gold & silver glitter. 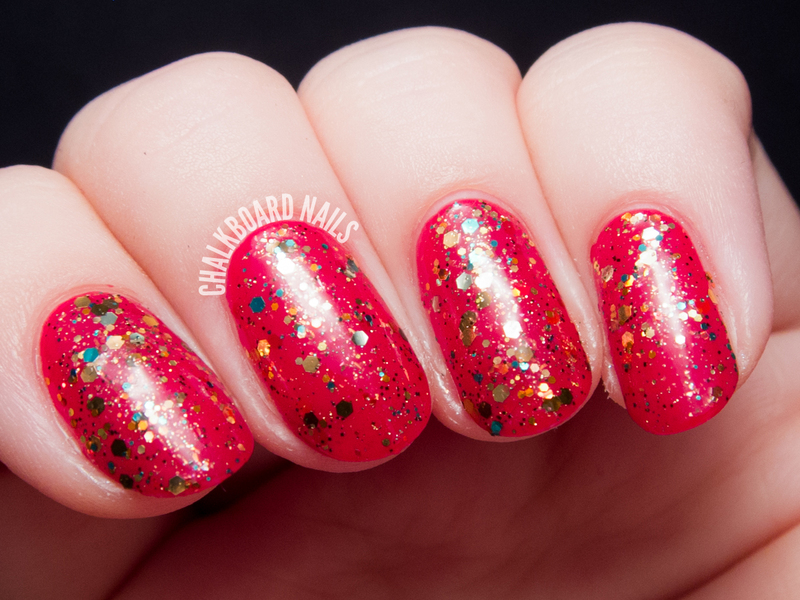 I think this would be a lovely New Year's polish! Three coats shown. 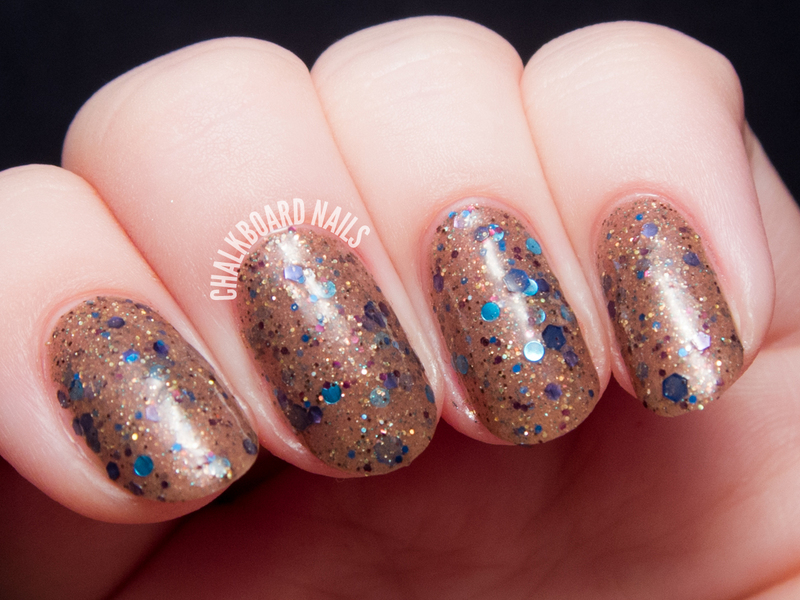 Work Hard Play Hard is a brown semi-opaque polish with blue, fuchsia, and gold glitters. The final effect is pretty busy, though the color palette is nice and the glitters complement the base well. I used three coats for the coverage below. My top picks from this lineup would be Light Speed, Galactic Rainbow, and A Class Act. 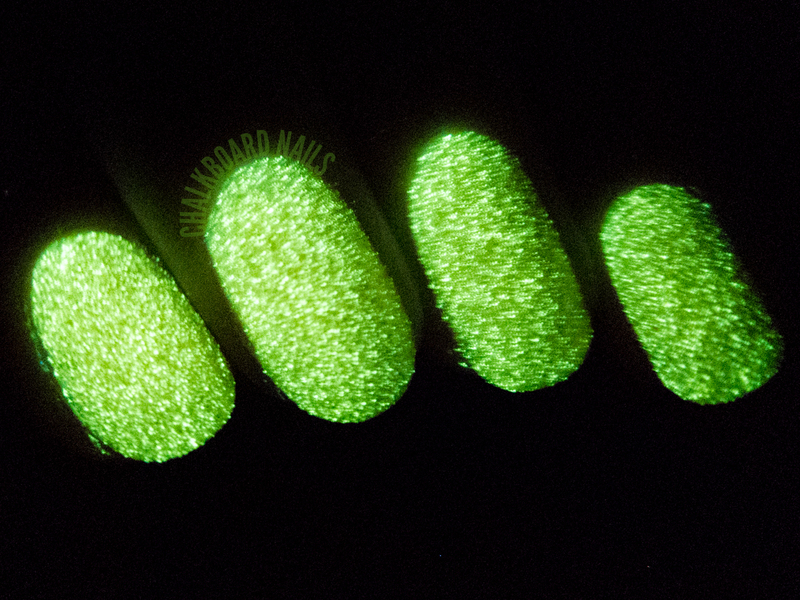 New buyers should keep in mind that one of the prices you pay for a glow in the dark polish is a bumpier, sometimes grittier finish. 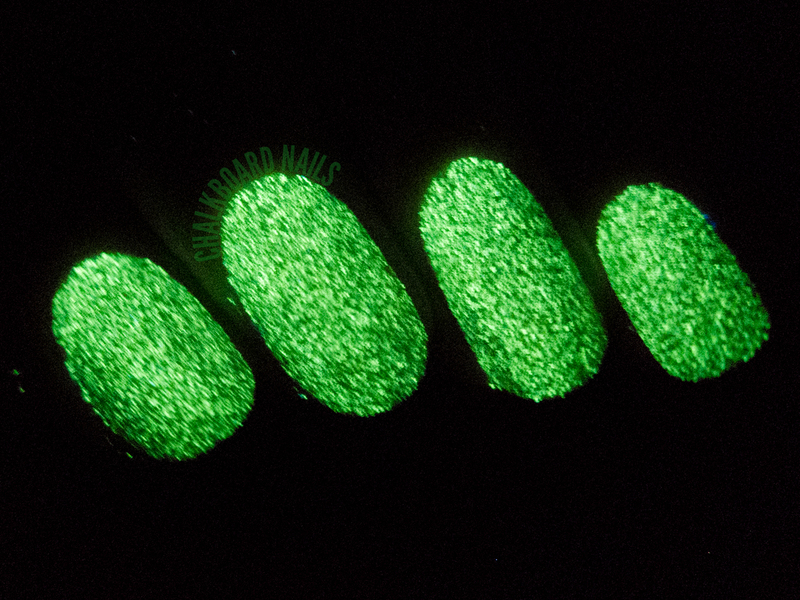 Though not all Serum glows are like this, you may need to add an extra coat of topcoat to smooth some of them out. I also want to take a quick moment to address the lack of posts from me lately. A lot of big things are happening in my life right now, not the least of which is a change in career! In January, I am going to begin nail school (more on this later). Right now, I'm busy at work with the regular Christmas season as well as trying to help the company transition, too. In addition, I decided to MAKE all of my Christmas presents this year, which is no easy feat. Add that to all of the usual holiday festivities and get-togethers, and you end up with one busy gal. I hope to be able to pick up the post frequency at the end of the year, but for now, you can follow me on Instagram for some short tutorials and non-blog content. I just LOVE Leaves You Breathless ♥ gorgeous color combination! And nail school, how exciting :D! Excited to hear about your upcoming updates, including going to school! Love, love, love A Class Act & Leave You Breathless! Hi Sarah, thanks for your personal updates. 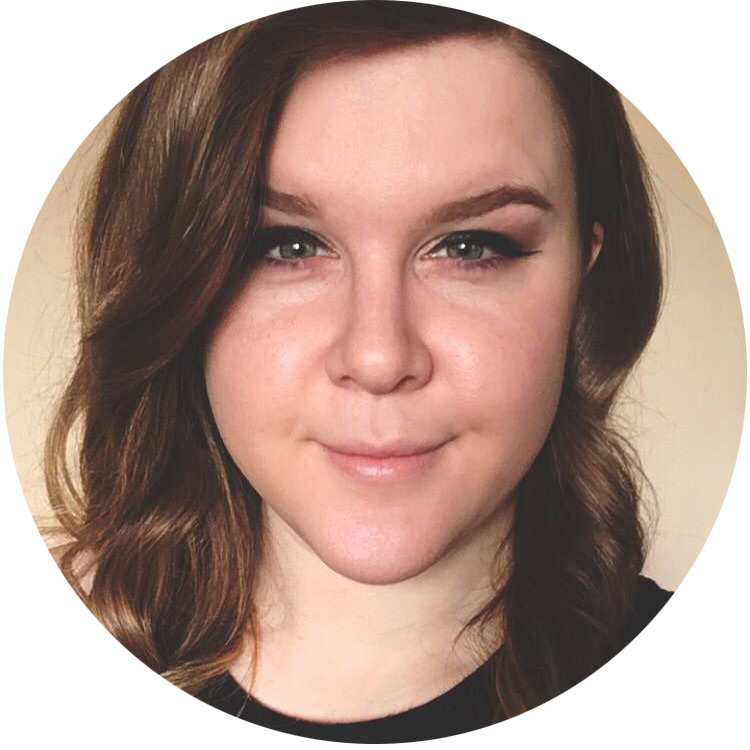 We blog followers notice right away when the frequency of blog posts changes, because we begin to depend on bloggers for information, swatches of the latest collections, chatty news, and of course nail art! I'm glad to hear all your good news and I really hope you do some posts about your nail school experiences. Good luck with it all and I wish you blessings for the new year!